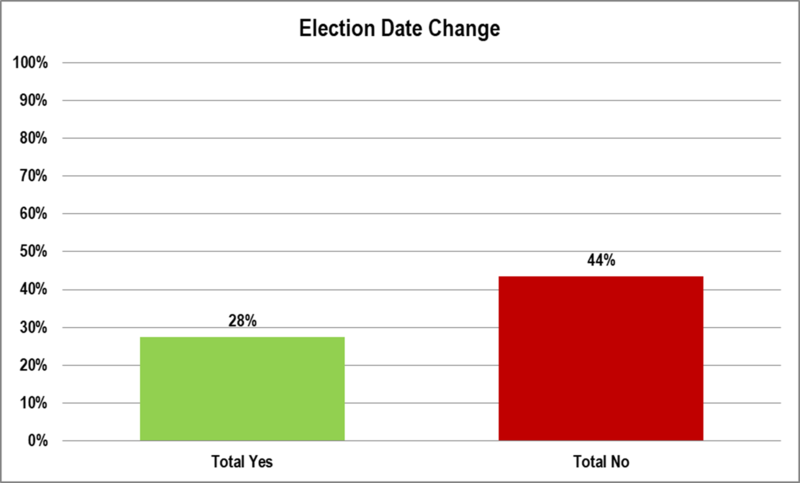 The charter election date change measure is losing among General Election voters. 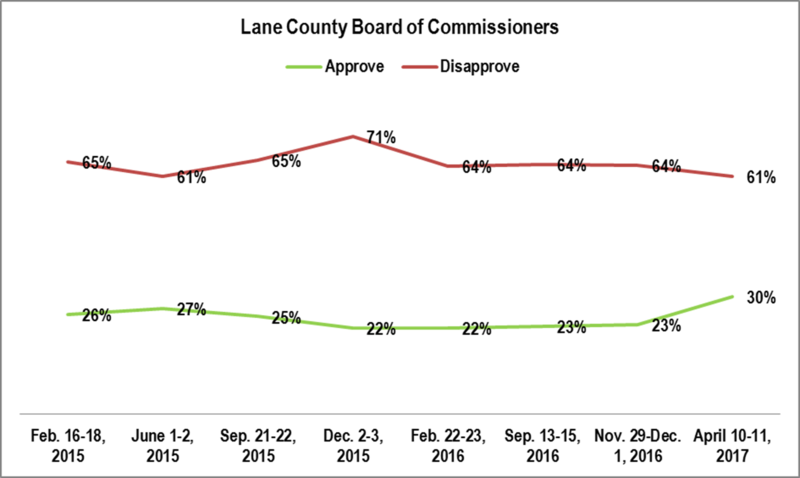 It is probably doing better among likely November Special Election voters, though it’s also clear people just aren’t familiar with it. 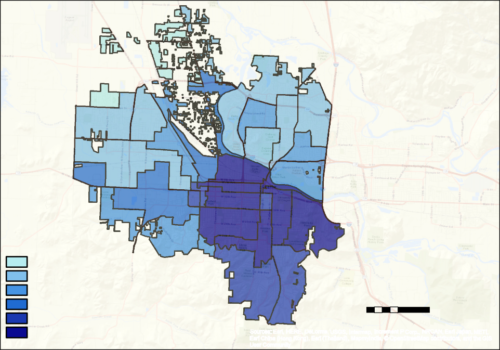 A solid education campaign is needed. QUESTION: Would you vote yes or no on: Shall the City of Eugene Charter be amended to eliminate an election in the fourth year of a vacated Mayor’s or Councilor’s term? 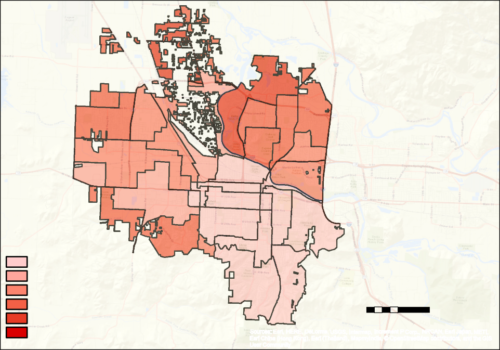 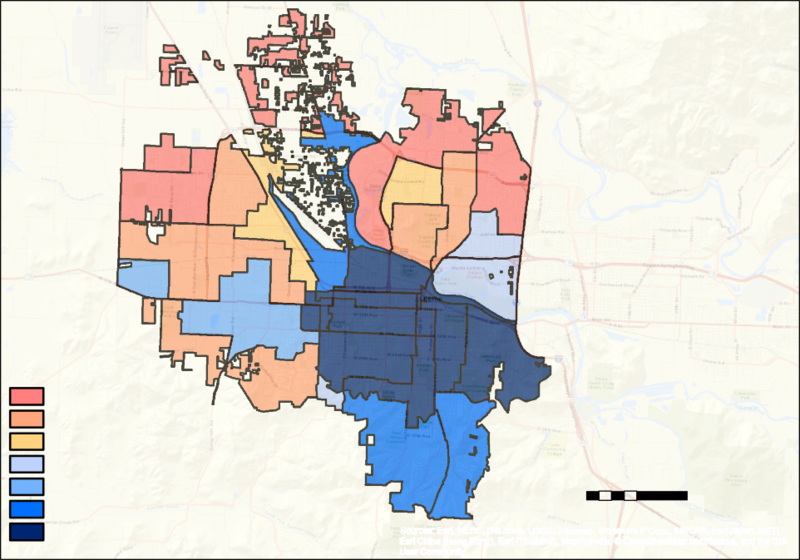 Starting Thursday and continuing on that day will be a weekly series of posts will examine the 2016 Eugene Mayoral race. 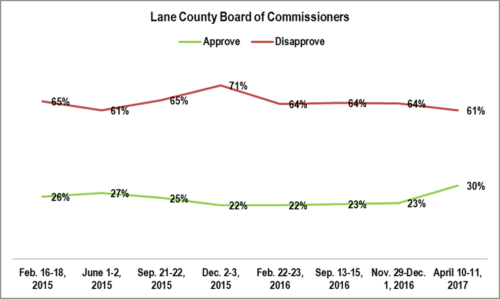 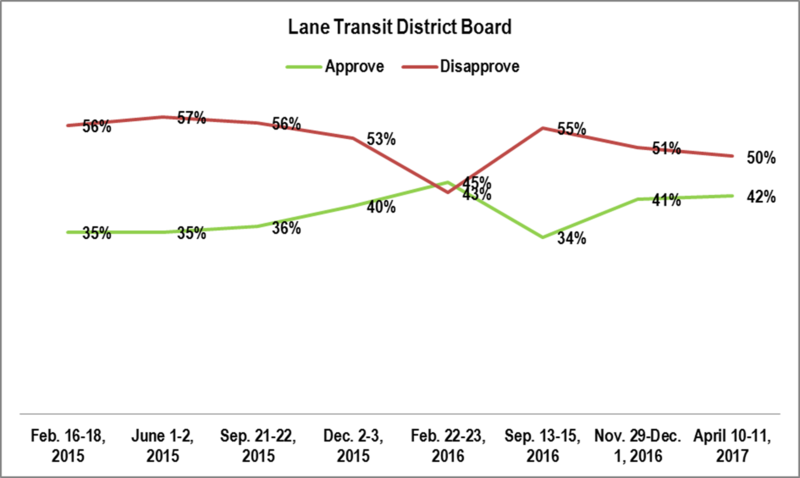 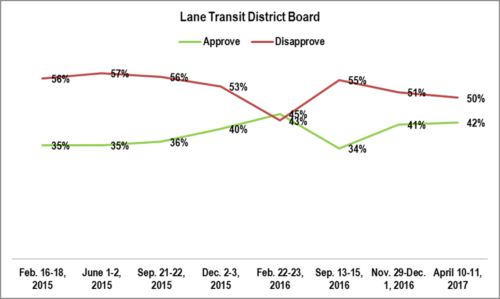 The Lane County board’s approval rating has jumped up since last year after being remarkably steady throughout 2016.